This is the second part of my Keyword Academy Case Study series – if you missed the initial post you can check it out here. Keywords are everything in this business – start with the wrong keywords you will fail – I can prove that – been there done that – either failed to rank the site at all – or got to #1 – only to discover no money in the keyword! I have my own take on keywords – the Keyword Academy videos focus on looking for products – but personally I prefer services. 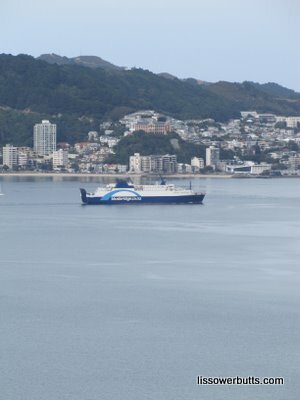 Wellington on an unusually still day! if I actually start making bucket loads of cash from this site – I will suddenly have a whole lot more competition! its not something I know a whole lot about – yet – but its something I have some interest in – I will become absolutely fascinated in it if starts making me a regular income! and the top four sites are all PR3 – they consist of a double listing from a relevant directory, and 2 relevant businesse neither of which use my keyword phrase in their ranked urls. the top 4 sites are all old 10 years plus. In fact the only site on page 1 which is younger than 4 years old – keywordphrase.org – which is a few months old. sites in position 3 and 4 may like to buy my site for a tidy sum if it starts to affect their own ratings – I could also offer advertising to them if I was outranking them – cut out the middle man of Adsense (Google) and save them money and make me more. With a CPC of $11.35 I should be getting as an Adsense publisher about 1/3 of that – so there is quite a lot of potential upside to direct sell to the advertiser. there are a bunch of very,very low (definition ezinearticles or hubpages in the first 4 positions) low tails related to this keyword. Google claims there is not traffic but I don’t believe it – the phrases make sense – this site has a lot more potential for $204 “official” estimate. mykeywords.org is ranking #7 as noted above – with 14 Yahoo backlinks, no PR, 14 pages indexed. Exact matches aren’t part of the TKA approach but in my experience they work wonderfully – unfortunately this not finding the exact match available is a common situation. The ranking of the dot org also however tells me having some keywords in the domain is going to help a fair bit. I am not doing hyphens for the same reasons as above. Next time I am going to talk about the details of getting links with Postrunner. OK you horrible lot. This is it I am going to prove that this works. 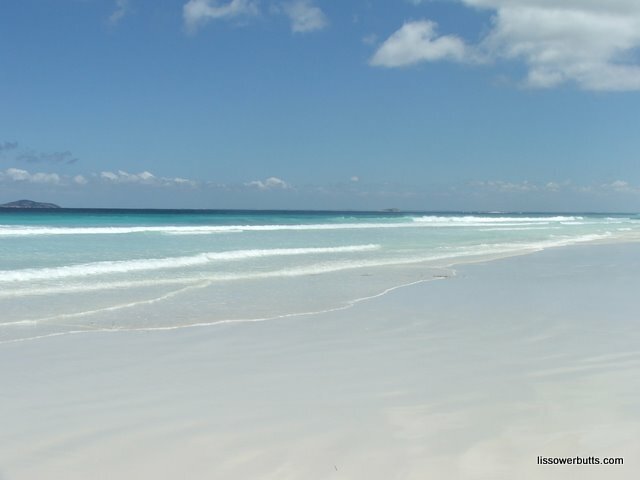 You can build websites – rank them in the search engines and retire to the beach to live off the earnings. I’ve been reading for ages that people love case studies – I know I love reading about case studies to – it sure beats working – but I have resisted doing them because basically I saw them as a lot of work – they are in the discipine that I have any qualifications in – science. In science a case study is an experiment and you learn with experiments whether they prove or disprove the hypothesis. 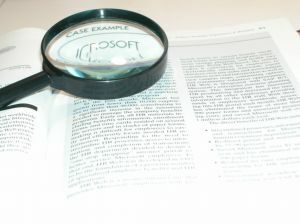 Internet marketing case studies are different. If an Internet Marketing case study fails – I make no money But there is really no downside in this experiment – I seriously doubt that I am going to fail to make money. I know that I can rank a site from ziltch to a page 1 in Google within 6 months if I chose the right keywords. If I do that I know I will make money from it (also sadly lacking in many science experiments). So what’s to lose? I will need to be slightly more organised than usual – but that wouldn’t be bad anyways! start a niche site on a new domain using the Keyword Academy method. rank it by ONLY using the keyword academy’s guest posting system. Now this is NOT the currently recommended approach in their core videos – but I have a hunch and I know that Mark, one of the guys behind TKA is trying the same thing. I am going to acquire around 25 links/month for the site from GPS. Report back here every month or so on progress. It may vary depending what I forget to record from month to month! The site will start off as a bog standard WordPress site set up as a niche site with arount 5-10 pages of content – I’ll probably launch it on the last day of the month just to keep the figures neat. Well my last day – I’m normally a day ahead on account of the time different and given that I will be away over Easter that will have to be close enough. In my next post in the Keyword Academy case study series I’ll talk about chosing the right keywords and domain. The difficulty with these types of case studies is that the biggest variable is niche – its just plain harder to rank in some niches than others. I am only covering one niche in this study. You could cover a different niche. Why not start your own new site (or indeed kickstart an old one you have been ignoring). If you want to report your progress regularly on your blog – drop a comment here and I will link to your posts. Or if you don’t have an appropriate blog – just drop a regular comment here with your progress. What’s the worst that can happen – you make money? Update: Check out my competition! Shameless Advertisement for The Keyword Academy! Hurry Time Running Out! Are you reading this because you are tired of working for the “man”, never seeing your kids until late at night, juggling bills and worrying about where the next car repayment is coming from? Would you like to be younger, sexier, attract fast cars and pretty women? Well I have the answer for you – but you have to ACT NOW! Sorry – thought that might get your attention! Look lets me honest here – I make money from this blog and the most successful marketing I do is for the The Keyword Academy. Why is it successful ? Well I manage to con people into signing up for the $1 free trial by offering to refund their dollar if they don’t like it – and then people find its a great program and they keep on paying the monthly membership for the site. I get a commission on those monthly subscriptions. All affiliates work the same Third Tribe Marketing, Scribe SEO – the lot. The difference is that most affiliates people cancel after a few months – which is crap for your passive online income! You see people who enrol in TKA stay enrolled for months and months and months. Long past the initial keyword video course – much longer than can be justified just on a montly webinar or two – so why is the Keyword Academy membership so “sticky”? They stay enrolled quite simply because they consider themselves to be getting value for money – and those that are doing the work are getting far more actual real measurable value from the program than the $33/month they pay for it. the forum allows me to compare results and react to changes in the Google world – more heads are definitely better than one sometimes. So what are the chances of making money actually using the TKA “system”?. What will it cost you to start a niche site using the TKA system? Setup WordPress (free) as recommended on TKA and start writing keyword focussed articles for your site. (5 to 10 say). (BTW if this scares you the TKA guys will help you set up the first site as well). In around 5/6 months you should be ranking on page 1 and getting passive income from Adsense or whatever other approach you have taken to making money on the site. Lets say the your site has the potential to make $50/month in Adsense. Total revenue – if you follow the TKA model you should be looking at least $50/month from your site – so it will take less than 5 month’s earnings to cover the sunk costs. Total costs (per 6 months ) – $4 – around the cost of cake and a coffee in my part of the world – your mileage may vary. then an ongoing requirement – write and post an article a day for each site: 10x 300 words about 2.5 hours a day at my fairly rapid typing speed – probably just time you spend watching rubbish on TV now. You don’t have to do this forever for a site – only until its solidly in the top position – that may take 6 months, more or less – this is a business not a job – its not guaranteed – but you’d have to agree there is a fair margin of error in the above figures..
Could You Use an Extra $5000 ? I could rave on about how TKA has changed my life – its true – but frankly it would sound too much like one of those cheesy sales letters that I hate! Frankly you just read over 900 words about making money online – you obviously have some interest. The real question is are you ready to stop dreaming and take some action? Dreaming is great – but it won’t make you money. So click the bloody affiliate link NOW and signup – and stop dreaming and reading about making money online and actually <<<<make some money>>>>> (that’s the link!)! What is a keyword – or more specifically what is a long tail keyword phrase – caused me endless confusion when I first began. I totally didn’t get it – that’s why products like Scribe SEO exist – to prey on beginner’s confusion. That’s unacceptable in my view – so here is the information that you need about keywords. Its here for free, you don’t have to sign up for any membership site or even a one off payment. There are heaps of erudite SEO expert posts on keywords out there – this isn’t one of them. Instead this is an attempt to take it back down to basics – stick with me because I want to start to with a real world business example – and then we will move onto niche sites and blogs. I’m going to tell you how to do it for free. Lets assume you offer house washing services – purely because I am in the market for the same at the moment. Now I may search for “house washing” now this gives me a mixture of results including DIY articles on how to wash my house down and news results for house washing. But I am not interested in learning to wash my house down – I want someone to do it for me! The result is somewhere there in the 7 million pages returned by that first query – but its too hard to find. Instead I try again and type “house washing service” now I have the right sort of result – but they are in Michigan and Atlanta – its (now) obvious I want a local service – so I try “house washing service Wellington”. So basically the keywords for a service business include each service you provide (house washing, water blasting), the location you services (Wellington, northern suburbs) and your unique selling points (guaranteed, quick quote). And all of these are in the language that your customers will use to find you – not the industry terms common among the experts! This is a little trickier – basically because its harder to define a consultancy business – a plumber has regulations about not doing building or electrical work, possibly unfortunately, white collar consultants do not. From a business point of view you really, really should define your services very clearly. If you are planning on providing “web services” to the world and can’t define it any further – your problem is not keyword identification – its a business plan! Now before some freelance writers jump on me and say some of those terms are not grammatically 100% – I say that’s the point – people tend to type into Google as they think – they don’t edit for perfect grammatical structure. Useful keywords are ones that reflect how people search – not the text book! Now those last couple of phrases will show in the Google Adwords tool as having no searchers – that’s an approximation. The same tool tells me there is no searches for people looking for family home for sale in Khandallah but there is at least one – I have shown her the house… At that’s the point I need exactly one person to buy the house, if you are freelance writer a client a week or even a month could be the start of a profitable career – you don’t need a thousand new clients a month to launch a freelance writing career – so find very long tail keywords that relate to the services you can offer and use them for post titles – it really is that simple. 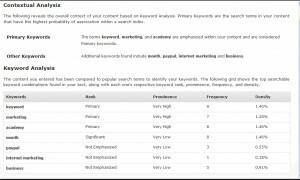 So Which Longtail Keywords Should I Use on My Blog? Many people start off in the general – this is my life or my work or my passion blog. These seem to particularly struggle with adding keywords to their posts – because its an after thought. Often they have bought into posting an excessive number of times a week – i.e. more than the once I manage around here. They’ve been told they have to post all the time – guys YOU DO NOT! Some of my favourite bloggers post once every few months – but when they do post its a useful, worthwhile and generally long post – it usually then has another few thousand words added in the comments – if you are good enough people won’t forget you! I’m not that good – but I can go weeks without posting anything here – and it rarely drops my subscriber count, doesn’t hugely effect my traffic, and makes little to no difference to the income I earn from this site. Oh and you can ignore a site for months and suddenly start posting again to – I just did with a site of mine – posted for the first time in 4 months- indexed within 24 hours! Why? Because most of the people who buy from me come from search traffic – often they will stick around, clearly dazzled by my deathless prose, but I measure success by income not subscribers (blame it on my bank – they are more interested in dollars in my account not my feedburner stats!). If you are trying to kick start a new blog – or an old one which has the classic 10 readers, one of which is your mother – think about what you are offering your readers: if you aren’t offering them something then that could be part of the problem. This is why focusing on a niche for a blog is easier – if you start writing about the joys of being a first-time step dad and then continue onto to home renovation – your original audience may fall by the wayside. Which is not to say that you can’t have several topics going at the same time – but starting with one and expanding it will be easier – not just to bring your audience with you but also for the search engines to rank your posts because they have already ranked you for related terms. Which is not to say you can’t change topics and introduce new things. For example when I started getting a significant number of readers here a lot of us knew each other from online forums – most of my readers knew more about keyword search than I did. But recently I seem to have acquired some new readers who may have missed some of these basics – so hence this post. Some of my regulars will have dropped off by now – but they should be off doing some work anyways- those that are still awake may have learned something. So What’s a Buying Keyword? Passive income – its kinda in between – people are looking for information – they may want to do something with that information – they may become regular readers or subscribers (in the way the fish recipe person probably won’t) – but they don’t have a huge urge to act now. 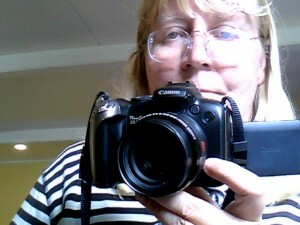 The Canon SX20 IS is my latest oh so cool gadget – its a top-ranked megazoom camera with a 20X optical zoom and a 12MB maximum file size and does cool video too – I love it! Now I bought it recently and I was aware of how to search online but basically I started with a search along the lines of “wide angle, 20x zoom, AA batteries” and came down to narrowing it down to this one and another I searched on the very specific model number to understand the pluses and minuses of that particular model. Its an expensive camera I wanted to be sure. I spent 5 minutes going to a local shop and holding it in my hand – I spent hours finding all the reviews for it. It should have been a buying keyword for someone – unfortunately I don’t live in the US and the cheapest place I could buy it doesn’t have an affiliate program – and that’s one of the reason that usually US traffic will convert better (Amazon won’t ship the camera to New Zealand (or Australia) and that’s very common for electronics). Not all search traffic is equal – luckily you are unlikely to get serious numbers of visitors to your camera review site so don’t worry about it too much! Generally as you get closer to spending money the longer the keyword you type in “Florida vacations” could be a school assignment on American domestic travel or a bored office worker dreaming at their desk, “family Florida vacations” – is someone getting a bit more serious about actually spending some money: “Florida Disney World Vacation hotels” – is getting better – but “Florida Disney World Vacation hotels coupons” could be a very good buying keyword indeed (it may or may not be – its not mine, its just my opinion, your mileage may vary etc etc). Oh and engage brain about buying keywords before you use a tool – if someone is looking for a free WordPress theme – do you really want them on a blog you are trying to sell paid WordPress themes from? So find specific keywords for your niche – sure start with the Adwords tool for brainstorming – but look at what is being pushed on TV and newspapers as well. Now this is a bit of confession – not every post here is written with a keyword in mind – in fact in the early days – none of them were. Even these days I will sometimes just post cause I want to share with my readers and can’t be arsed with the search traffic. The trick is this – each post has a link within the text of the post which links to the other one with the anchor text “third tribe review”. I usually work it something like . In the second post I will say that as a follow up to my recent post on (and I ad the link) <long tail keyword phrase here> blah blah. Then I edit the first post and often at the end of the post I will add a sentence or so that that says – read my follow up of <long tail keyword phrase> here. Does capitalisation matter? It may to the grammar police – but not to the search engines – the key word lis sowerbutts is exactly the same as Lis Sowerbutts – how do I know – try the two searches and compare the results – you will find they are the same. Is the plural version of a keyword the same as the singular? No its not – but they are very closely related. Rank yourself for “blue widget” then getting the ranking for “blue widgets” will be much easier. Does punctuation matter? To EzineArticles definitely, Google – no. Whether you link to “blue widgets” or blue widget’s” or even “blue widgets’ ” its all the same to Google – they are all the same keyword phrase. Same goes for punctuation – whether you link to: ” Products are available in red or blue. Widget and doodas are available ..” Or “blue widget” the keyword is the same keyword. My point is that none of the stuff I do for the search engines to find my keywords – has any affect on my readers, if you are in a non-make money online, non-SEO niche they won’t even notice. This really is all you need to know about what you should be writing on your site as far as long tail keyword research is concerned. If you want to seriously increase you traffic then spend a bit more time find long tail keywords you can easily rank for and less time pushing out more and more content which is unlikely to really engage your readers or show up in the search engine results. Of course the on-page SEO stuff I have been talking about here is the 20% – the other 80% of your effort should all be about Back Links – but that’s another post and fortunately Allyn’s already written the definitive post about how to get backlinks check it out ! You may of missed it – but a couple of week’s ago Brian Clark – of Third Tribe Marketing fame – launched his latest money-making venture- Scribe SEO. Sounds good right? And frankly I understand the appeal – I spent quite a long time considering myself incompetent at SEO – I thought it was really, really hard and technical and even though I thought I was technical I didn’t GET SEO. So I see where there market is at. I thought writing SEO Titles was a Dark Art. I didn’t know what a keyword was – I may have been very likely to jump at this tool. determines what your keywords are and makes suggestions about changing your titles and tags to better reflect this. The product walk thru is here – note the promised search volumn appears AWOL in the current release. I am testing Scribe using Thesis with the standard Thesis options installed. Scribe also claims to work for the common and free All-In-One SEO plugin and the Headway framework. Reading Scribe SEO’s copy you would think that Scribe SEO was all you had to run to get you to the top of the search rankings. But its only part of the story – and a I small part of that: particularly if you are a new blo0gger which is their target market.Scribe SEO only addressing on-page SEO, the far larger part of SEO is off-page SEO otherwise known as backlinks. I could write about Backlinks but I will just send you over to Allyn’s How to Get Backlinks. If your site is new and lacks authorities you need lots of backlinks! You install the Scribe plugin in the normal manner. Write your post – fill in the custom title and description fields. Once you click the analyse tab you will get a big SCORE and a list of rules. For the purposes of illustration I have run this analysis over my post comparing Third Tribe Marketing and The Keyword Academy Now that was a deliberately optimised post so I was curious to see how SEO Scribe would do – oops major fail! to run the analysis you have to copy your title down into the custom title box and also fill in the meta description. I rarely do either – my post title is usually my custom title and the meta description I stopped worrying about ages ago because Google ignores it and makes its own anyways; UPDATE I think I was a bit wrong on this – Google seems determined to use the meta description I wrote for this post – I have just changed the description slightly to see if Google will recongise that and added a video at the end of this post which describes Google’s current position. In fact even SEO quake (which is free) did a better job for analysing my keywords – but its not really that difficult – read the title! SEO Quake also points how many outgoing links I have on the page by distinguishing between internal and external links and my counting the whole page including related posts, comments, sidebars and footers. Scribe SEO only counts the links in the actual post without distingushing between internal and external. Check it your self you’d be surprised at how many links that page has – far more than the 5 that Scribe found. Scribe SEO will do a worse job of telling you what your keywords are than the many free tools out there. 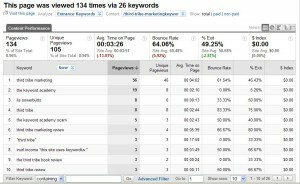 Or look at where you search traffic is coming from and write more on those keywords. Keywords aren’t a science – they are an art. Google is very,very good and doing a very sophisticated analysis – it knows that two terms “scribe” and “seo” together describe a different keyword “scirbe seo” – but that same-titled product doesn’t itself recognise that this post is about it! Instead it said my keywords for this post were “SEO” and “Scribe” – which of course they are not. Keywords aren’t hard. They are you “USP” or “elevator pitch”. If you are writing about “house buying in New Zealand” than its likely that a good keyword would be “house buying in Wellington” (one of our cities). If you are writing about house buying than home buying may come up as well as will “how to purchase a house” and even “should I purchase a house or flat” Ask a customer what they think you do. Brainstorm some more ideas – throw these into the free Google Adwords tool – voila more keyword phrases than you have time to write blog posts about. Captitalisation doesn’t matter ACDC is the same as AcDc. Punctuation doesn’t matter “lissie’s passive income” is the same as “lissies passive income”. Plurals do matter “dance” is different from “dancing” and “dances” – closely related however – once you rank for one it will b e easier to rank for the next one- but different none the less. Brian Clark is not afraid to charge a lot for his products and services – Teaching Sells is a good example of that. However his pricing for his latest offering staggers belief. All of this information is available for free – there are some fantastic free sites and browser plugins which will give it all to you. You only need to learn how to do this stuff once – after that it becomes easy to do. I know you may be not at that point yet – but I will start a short list of useful resources at the bottom of this post and I am sure my readers will chime in with more. Before someone screams – but its all in one -place – yes it is but the keyword analysis doesn’t work – so 80% of the results which are dependent on that are flawed too. There are no refunds – you can cancel during the month to stop your credit card being debited. There is a however a free 5 evaluation trial – which is what I used for this review. Is Scribe SEO a scam? – NO it appears to be trying to do what it claims. There was some discussion in the comments re the usefulness or otherwise of metadescriptions – below is Matt Cutts on the subject. For those who don’t know Matt – he is commonly considered Google’s unoffiical, official spokesman on all things search.